Happy Summer, everyone! I hope that by now you are all finished with the school year and are done for the summer! 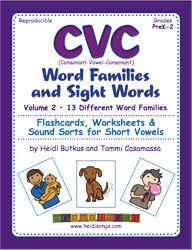 Today I am going to tell you about a brand new resource for teaching consonant-vowel-consonant (CVC) words that we finished just a month or so ago- our CVC Book, Volume 2!!!! I have been wanting to create a second volume of this book now for quite a while, but there are so many important projects on my “to do” list that they all get piled up and then things take longer than we want them to. But this one was finished in May, just in time for me to try it out with my kiddos for a little bit before releasing it to you here. This book follows the format of our first very popular CVC Workbook Vol. 1, but includes new word families that were not included in the first book. – Each unit begins with a set of large flash cards so that you can teach the children what the words and pictures are right from the very beginning, before you ever show them a worksheet. 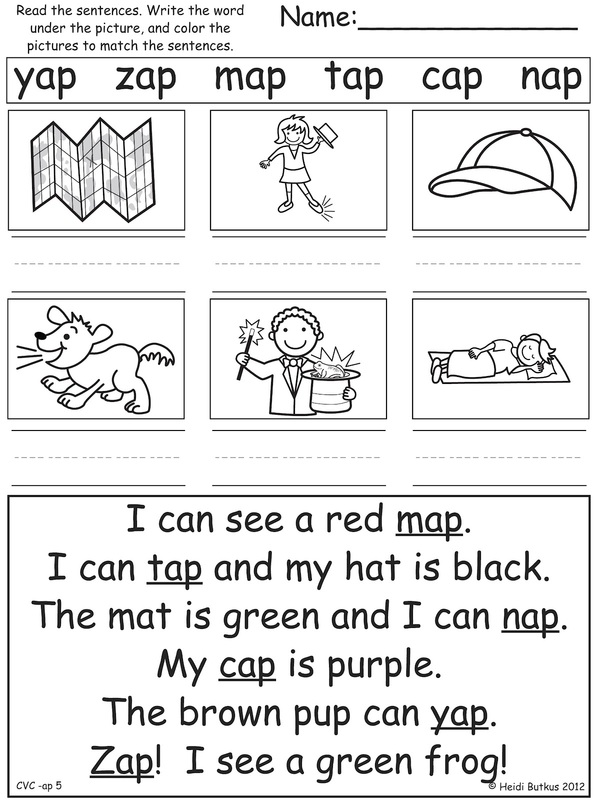 This is one page of the large CVC flashcards. They are about three inches square. – There are small, student sized flash cards that you can copy using just one sheet per child for additional practice in reading and matching the words to the pictures at home, or for use in mini centers in the classroom. These are the Student Flash Cards. They are about one inch square. 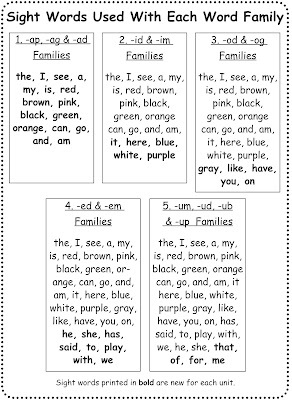 – Each unit includes five different types of worksheets for practice in reading the words alone and within the context of easy sentences. 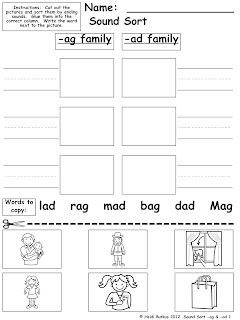 – At the end of each unit, there are cut and paste sound sort worksheets for practice in sorting the pictures into word family groups. 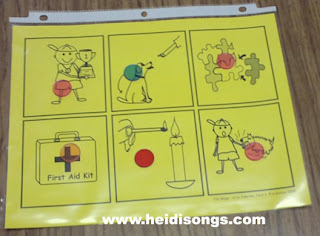 This is one of the Sound Sort Worksheets for the short vowel a unit. 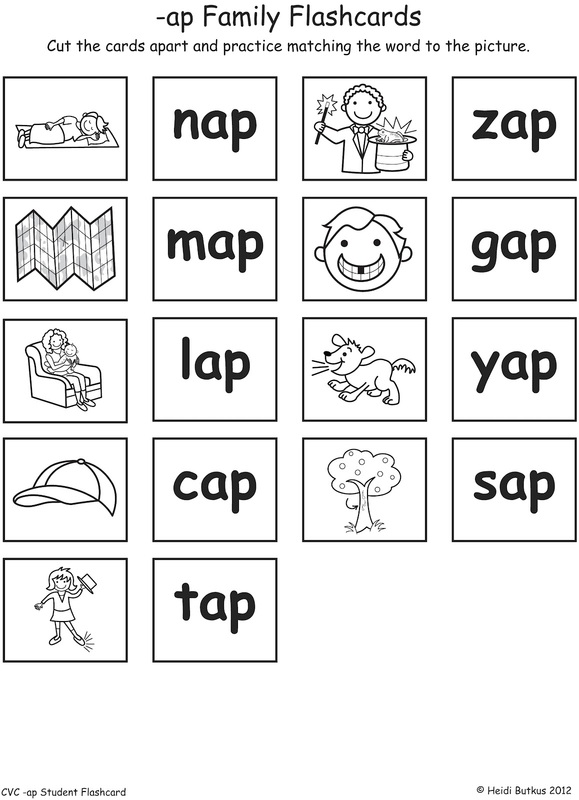 – The sight words that have been included build on themselves in difficulty, just as the first CVC book does, so that it may be used in conjunction with the first book. 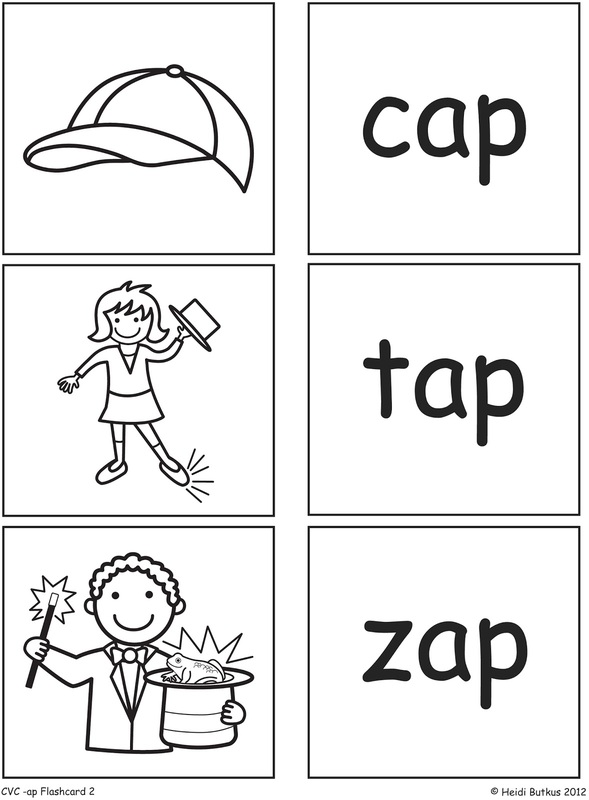 For example, the unit with the short a words includes only ten sight words and six color words. Sight words increase gradually with each unit until there are 25 sight words plus all of the color words included with short vowel u family at the end of the book. Therefore, most Kindergarten children and first graders should be able to use this book and be successful with all of it. 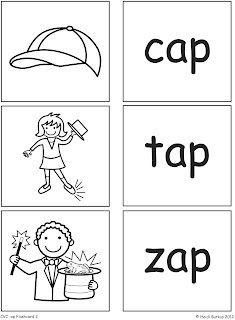 These are the sight words that were included in each unit. The new ones added to each unit are written in bold print. In my class, this is the way I generally use these worksheets and flashcards. 1. 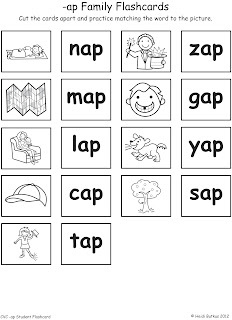 When I am ready to introduce the short a words, I get out those word family flash cards and we practice sounding out the words and matching them to the pictures for about a week on a pocket chart. 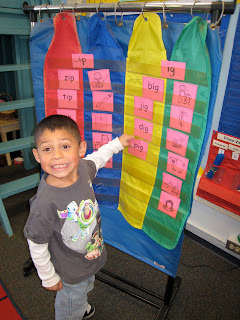 This is one of my students from several years ago, matching words from the first CVC book on a pocket chart. 2. 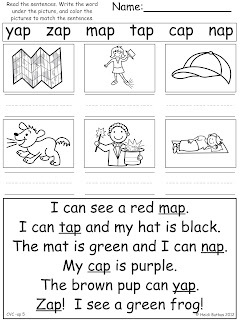 Then, I send the student sized flashcards home with the children as homework for practice reading and matching the following week, along with the first worksheet in the unit. This is what the format of the first worksheet in each unit looks like. 3. Sometime during that week, we use the CVC Bingo Games that go along with each unit in my room at one of the centers. (The bingo games are sold as part of the book download, but are NOT in the printed copy of the book.) This is usually done with a parent volunteer. I also use this bingo game as a phonemic awareness blending game, and tell the parent to simply tell the children the sounds of the letters and have them blend them together, rather than show the children the letters. Then they have to guess the word that way. When sound blending is brand new to them, we even play it by having the parent separate the onset from the rime only, and have the children blend the word that way. (Example: The parent would say, “/h/ /am/” and the children would try to guess the word “ham.”) Once the children can do that, then we progress to blending the entire word together by sound only, and then to blending it by looking at the letters on the calling cards. This is a picture of one of the bingo games from the first CVC book. 4. On the second week of the unit, they get the second worksheet for homework, and we still continue to practice matching the CVC words on the pocket chart and playing CVC bingo as I described it above. 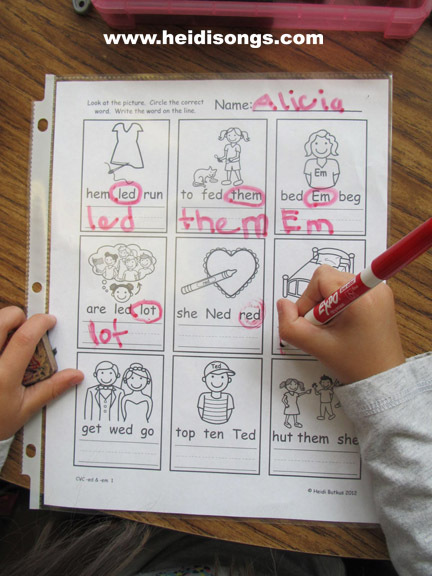 This is an example of the format of worksheet two in each unit. 5. 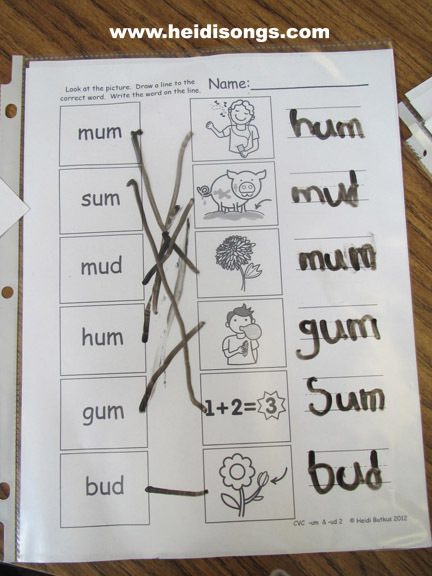 On the third week of each unit, I give my children the third worksheet for homework, and we continue practicing matching the words on the chart as needed and as time permits. The third worksheet in each unit looks like this. The CVC bingo game continues once a week, unless there is a skill that I need the parents to work on that is needed more at that point. I also spend one day of my language arts instruction with the children on worksheets four and five during the third week. 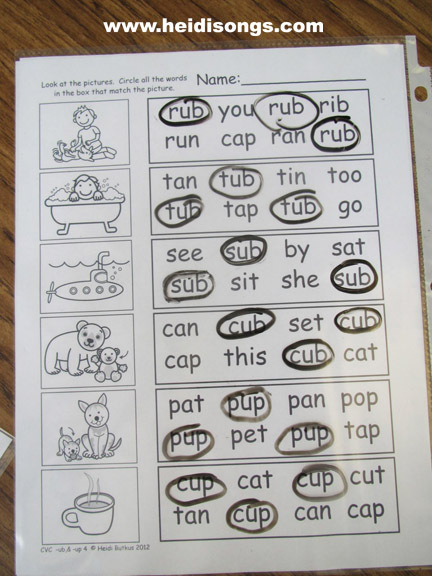 I copy worksheet number four on the back and number five on the front, and then work with the children in small groups so that I can listen to them read. 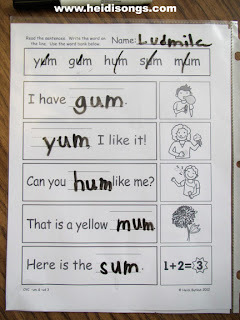 I like to see how they are doing in applying the skill of reading the CVC words within the context of these simple sentences since the vocabulary is definitely controlled. 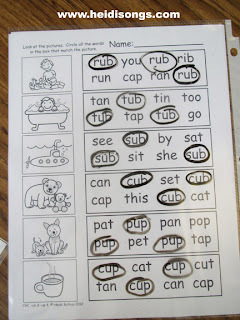 I have my kids take turns reading the sentences aloud on the fifth worksheet in each unit while others are coloring it. 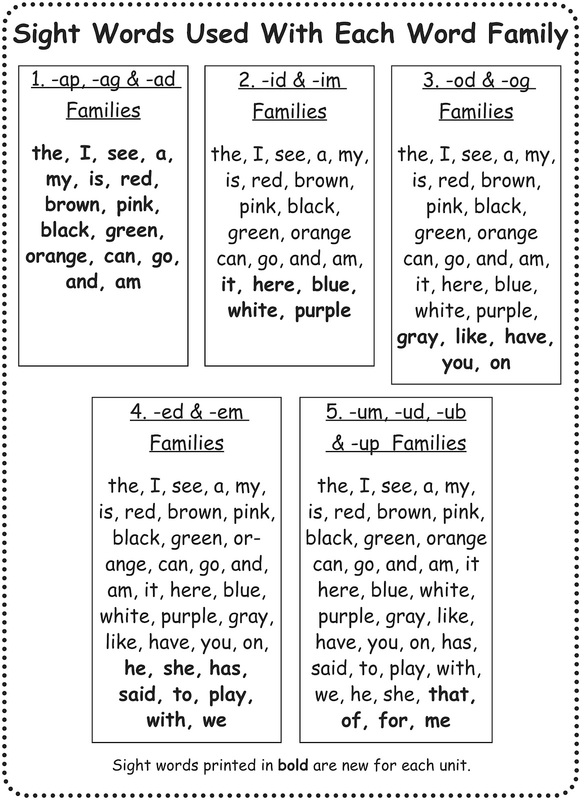 I really value the format of the fifth worksheet in each unit for this reason, because it has simple sentences for the children to read that incorporate the CVC words. So, as the children are working, I stop each one for a few minutes and listen to them read some of the sentences from that fifth worksheet. I like this a lot because I KNOW that they have never seen these sentences before, and therefore could not have memorized them. (Sometimes the children easily memorize the sentences in the little books that I send home for reading practice, so it is hard to determine whether or not they are really mastering what I am giving them.) This really helps me keep track of general reading achievement, and who needs extra help. 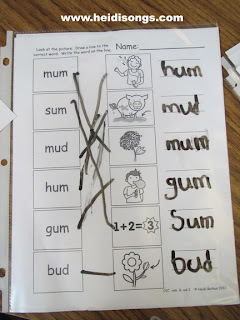 It’s a sort of mini-assessment that is easy to give, since the rest of the children are busy doing the worksheet, and I only have to listen to them read a little to know how they are doing. This is what the fourth worksheet in each unit looks like. I hope that this book will meet your needs as well as it meets mine! If you have any comments or feedback on it, I would love to hear it! 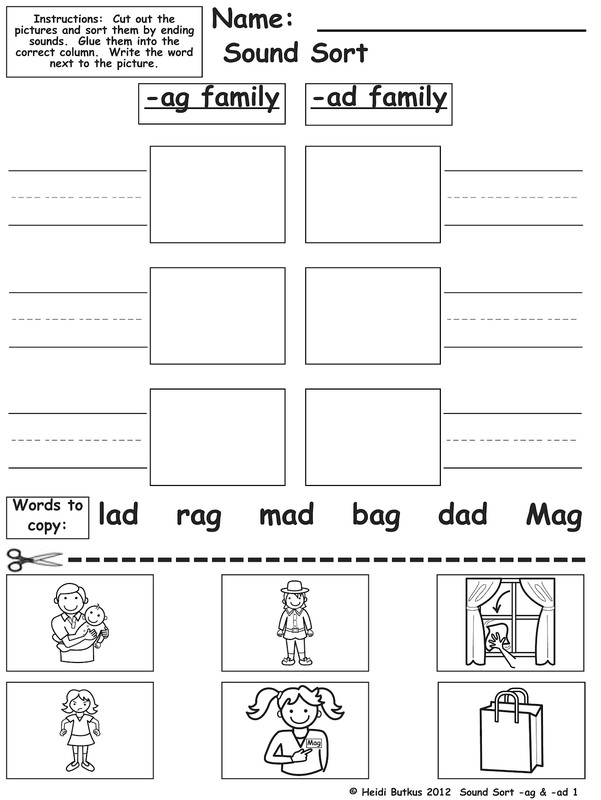 We are including a few sample sheets here, from the Short -ad Word Family, if you would like to try them out with your students next time you are with them. We are now working on a CCVC book, and a CVCC book, too! 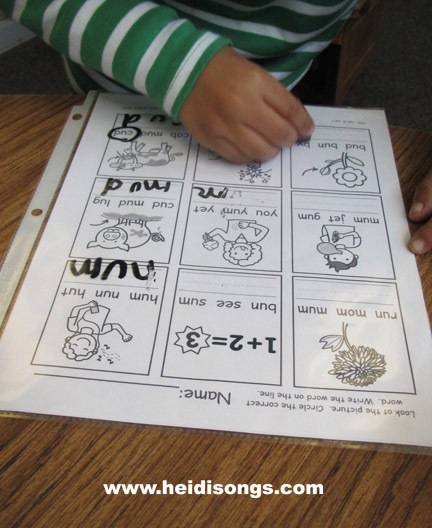 PLUS, we are also working on an alphabet workbook! Busy, busy, busy! Stay tuned, I’ll let you know when they are ready. People always ask me if there is any music to go along with the CVC book. And the answer is “not yet, but hopefully next year!” Writing a song for each word family is on my “to do list.” I would like to make up some songs that would help children learn how to blend the sounds into words. Right now, the only song I have is the “How Do You Sound It Out?” song from Little Songs for Language Arts. And that is a great one that is highly effective, I think! (If you would like to see a video of it and hear the song, please click here!) At least my class really liked it and seemed to benefit from it. So I’ll be working on some more songs like that one in the near future.